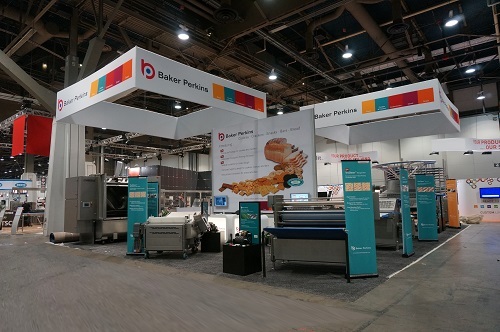 The Baker Perkins TruClean™ wirecut machine for soft dough cookies and bars minimizes cost of ownership and improves hygiene, while maintaining outstanding levels of quality. Exceptional reliability, fast changeovers, low waste and minimal giveaway enable high production rates to be maintained while keeping operating costs low. 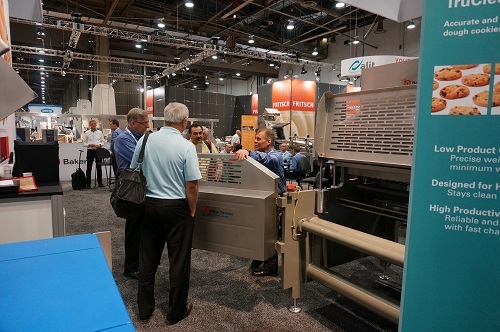 This new design uses the well-proven Baker Perkins filler block and die technology to offer outstanding weight control of +/- 1-2% on plain dough. For products with inclusions, cutting consistency and deposit accuracy can be improved with an oscillating knife. Sanitation is the result of a radical innovation in Baker Perkins approach to design. Every aspect of the TruClean™ wirecut has been reworked to offer more thorough cleaning, more quickly, with easy maintenance. Open access, fewer guards and easy removal of guards and other components ensure the TruClean™ wirecut meets or exceeds the hygiene standards expected by the industry and demanded by regulators. Customers select one of two sanitation levels, with the choice linked to their own cleaning regime and cross-contamination risk. Hygiene level one is designed for dry or wet cloth cleaning when there are no cross-contamination issues. Level two is for low pressure wet or chemical cleaning if there is potential for cross-contamination onto food product surfaces, or in the product zone. Simple push-button or touch-screen graphics, good visibility of the product area and full on-the-run adjustment make effective operation straightforward and intuitive. The TruClean™ is available in a variety of band widths from 32” to 60” (820 to 1,525mm) and speeds from 60 to 200 cuts per minute.